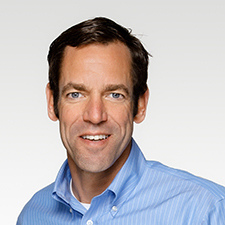 Rob Falk joined The Truth Initiative as its General Counsel in 2017. He will use his legal expertise to advance the cause of bringing about America’s first tobacco-free generation. From 2006-17, Rob was General Counsel of the Human Rights Campaign. He supported the organization’s work by advising both the Human Rights Campaign and the Human Rights Campaign Foundation on legal issues including election and campaign finance law, non-profit tax issues, real estate, human resources matters and intellectual property. He is a previous recipient of HRC’s Ally of Justice award. Prior to joining HRC, Rob served as general counsel of the Whitman-Walker Clinic and acting general counsel at D.C. General Hospital. He has 15 years of private practice experience in prominent national law firms where he concentrated on health care issues. Rob currently serves as a member of the Board of Directors of the Association of Corporate Counsel. He is a past-president and Board member of the National Capital Region chapter of ACC. He graduated from Yale Law School and went to Princeton University as an undergraduate.